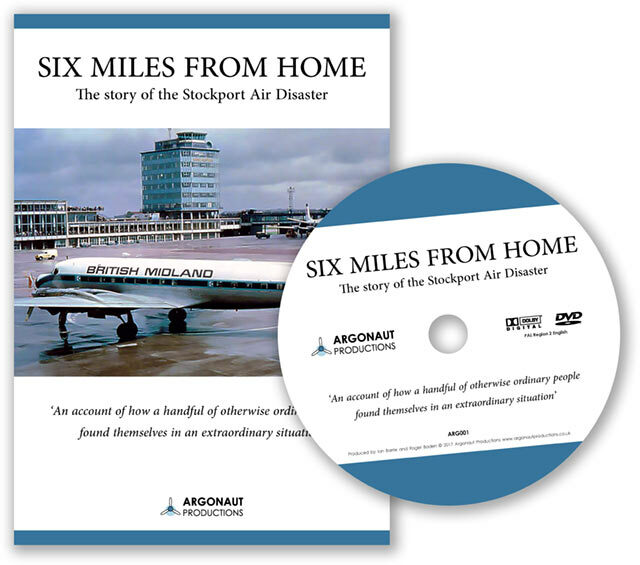 We are pleased to announce that DVDs of our documentary film 'Six Miles From Home' are now in stock and available to purchase from our shop at a price of £15.00 including UK postage. You can pay using PayPal (including credit and debit cards), bank transfer or cheque. We also offer EU and worldwide shipping options for purchases from outside the UK. All details are shown on the shop page. You can contact us at info@argonautproductions.co.uk or by telephone on 01625 420163 for more information. © 2019 Argonaut Productions. All Rights Reserved.